The Healthcare Congress has gone digital and we would like you to join us. This year we are using the ShowGizmo smartphone app to put all conference information in the palm of your hand! 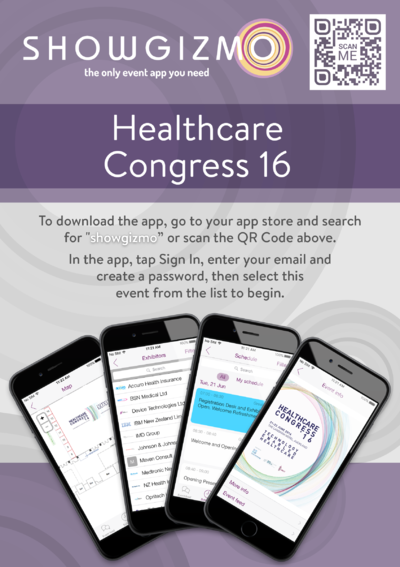 It will also help to make your 2016 Healthcare Congress experience more interactive and engaging! The app is also the best place to keep up with most recent updates and information as you can receive live notifications. or you can Click HERE to open ShowGizmo in your browser to access the app.